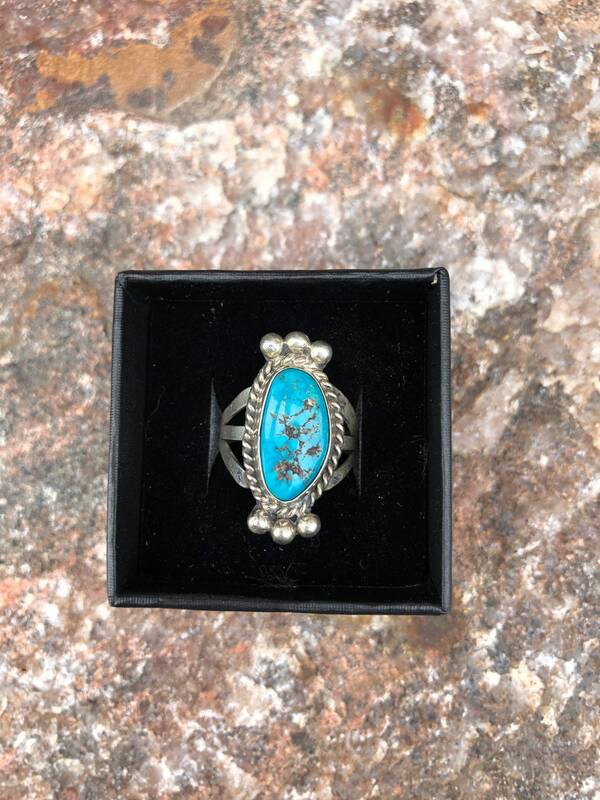 Gorgeous southwestern turquoise and sterling silver ring. 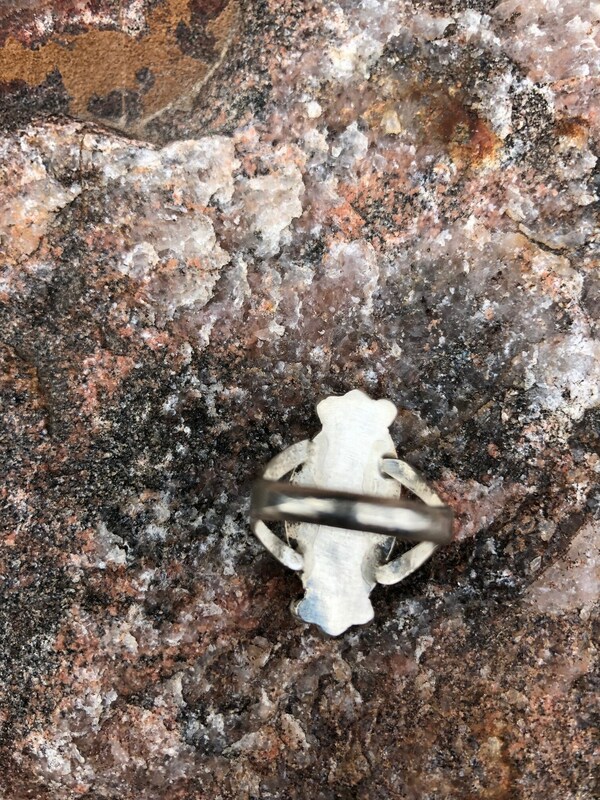 I believe this may be made by Hopi artist Gordon Honyestewa. 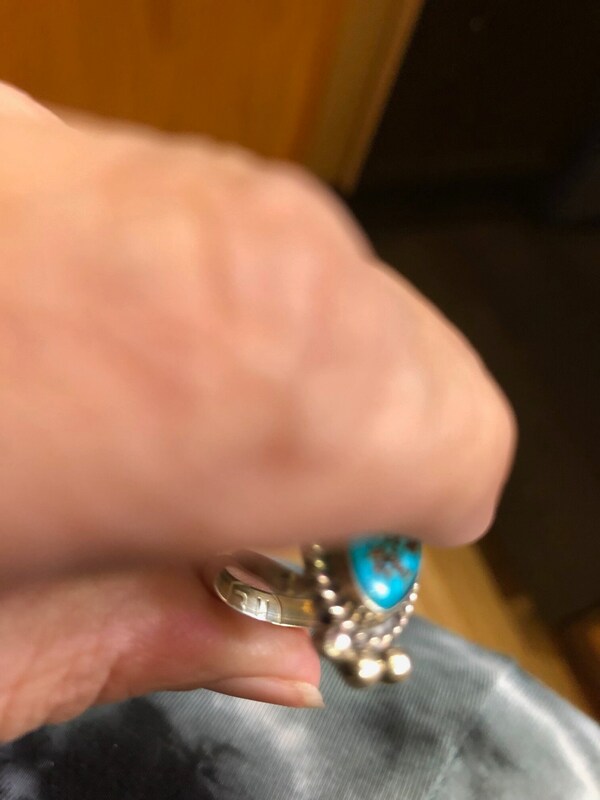 It looks like he tried to fit his old hallmark (seen in the last photo) on the band (fourth photo). 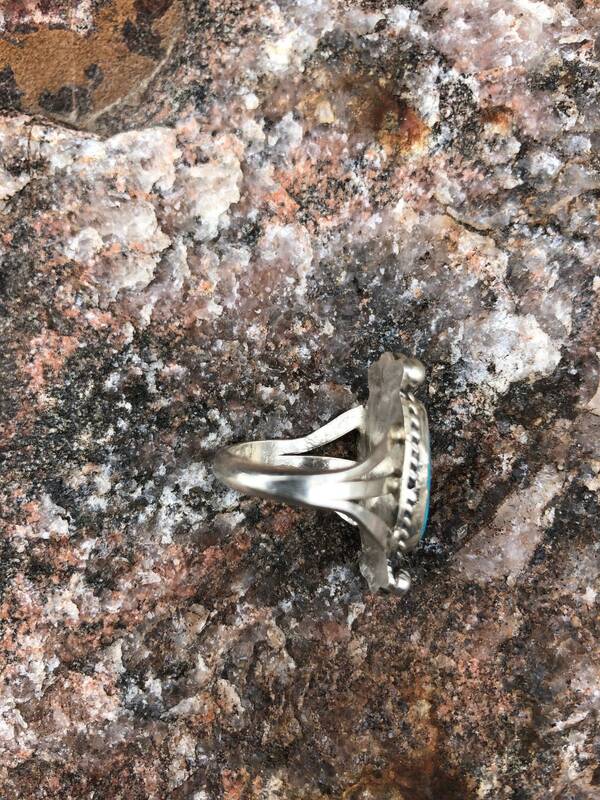 Also, if you look at any of his other rings you'll see this is his style.